Positioned in the heart of Lakes Entrance, NRMA Eastern Beach Holiday Park is the perfect water side getaway for those looking to soak up the sun, sand and sea. Only 4 hours from Melbourne, the park occupies a tranquil stretch along the Cunninghame Arm in Victoria’s East Gippsland region. 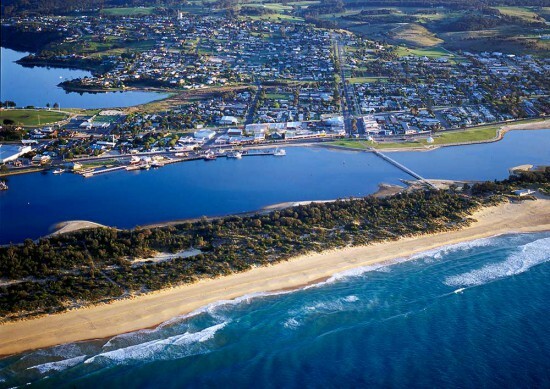 Spend your holiday exploring the seaside town of Lakes Entrance, try your luck at water sports or sit back and relax by the ocean. Whether you choose to set up the tent on a powered, unpowered or ensuite site, or stay in luxury in a large private villa sleeping up to 5, you’ll find the right type of accommodation for you at NRMA Eastern Beach Holiday Park. Along with a great range of facilities including swimming pool, jumping pillow, water sports equipment hire, camp kitchen, playground, barbecue areas, kiosk, and free wifi. Plus, if you’re traveling with a furry friend, pets are welcome at managers discretion when staying on sites*.